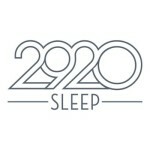 2920Sleep.com is the official website and online store for the 2920 Sleep Mattress. The company makes premium but affordable sleep mattress featuring the Comfort Stack Sleep System that has been lab tested to be optimally supportive so it can prevent motion disturbance and regulate temperature. It also sells high quality pillows and sheets. The sleep mattress has a ten years warranty. There is a hundred night free trial. Customers would get free shipping and can also avail for financing without any interest. The mattress is made up of four distinct layers with different purposes. The pillows are customizable. The sheets are made of premium cotton.